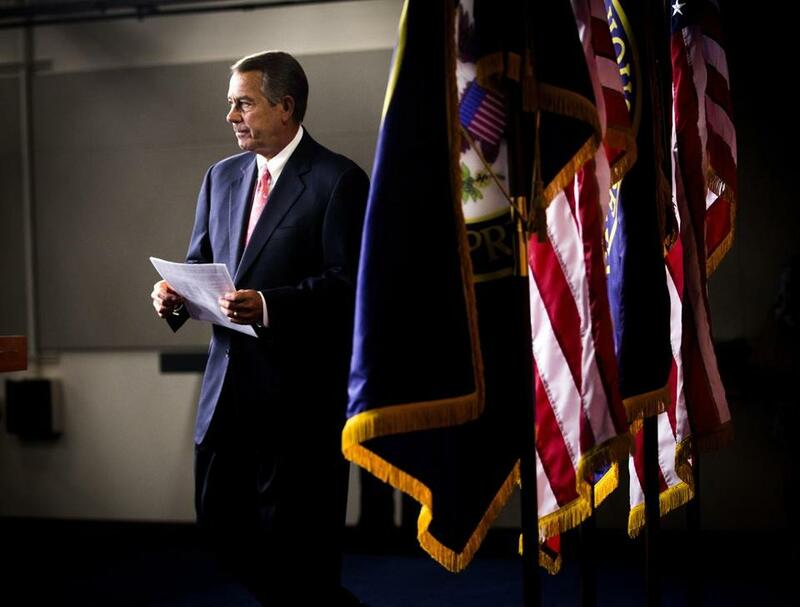 Speaker John Boehner prepared to discuss the Supreme Court’s ruling that upheld nationwide tax subsidies under the Affordable Care Act. Message of King v. Burwell to Republicans: It’s over. With the Supreme Court’s 6-3 ruling, Obamacare is forever part of the country’s social and economic fabric. Now it’s time to celebrate what that represents. 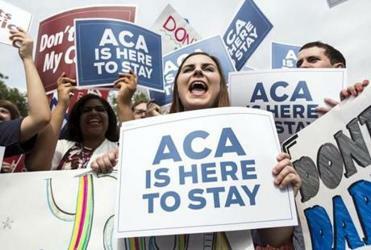 The principle that health care is a right, not a privilege, as President Obama exulted. And that it might not have happened without a Republican named Mitt Romney. The winners include the court as an institution and the American people as a whole. The path to achieving near universal health care coverage came about because Romney, then governor of Massachusetts, worked with Ted Kennedy, a liberal US senator, to make it happen. They worked from two premises: Society has an obligation to provide affordable health coverage, and every individual has a responsibility to get coverage. The result: The Massachusetts health reform law of 2006, also known as Romneycare, which served as the template for a key section of the Affordable Care Act — also known as Obamacare. The irony: Republicans hate a law inspired by a fellow Republican that represents a high moral purpose and was achieved through bipartisan compromise. Now, with King v. Burwell, a concept launched in Massachusetts has been upheld a second time for the rest of the country. That’s a good thing, if only Republicans knew it. There’s plenty for Romney to celebrate. The preface to the majority opinion notes that the ACA “adopts a version of the three key reforms that made the Massachusetts system successful.” Those reforms include requirements barring insurers from denying coverage to any person because of health, or charging higher premiums for that reason; requiring everyone to buy insurance; and promoting tax credits to make insurance affordable for lower-income individuals. The Massachusetts law also set up an “exchange,” or marketplace, that allows people to compare and purchase insurance plans, a concept copied by the ACA. There were rocky times, but the problems are being addressed. Three years ago, the Supreme Court upheld the requirement that every individual must have insurance. That personal responsibility element was initially important to conservatives, who later decided to renounce it. In King v. Burwell, the Supreme Court ruled that an exchange set up by the federal government is legal. To do that, the justices looked past the literal meaning of four specific words — “established by the state” — to the greater mission: health care for all. On scotusblog.com, Supreme Court reporter Amy Howe summarized the controversy this way: People who don’t get their health insurance through their employers can purchase it through on-line exchanges. But after some states declined to set them up, the federal government stepped in to create exchanges. Since one provision of the ACA said that subsidies are available if purchased on an exchange “established by the state,” the plaintiffs in this case argued that subsidies are not legal if purchased through the federal government, which is not a state. Writing for the dissent, Justice Antonin Scalia said, “We should start calling this law SCOTUScare,” suggesting that the Supreme Court has twice saved Obamacare. That’s another sign of just how elusive the common ground found in Massachusetts remains on the national political stage. In 2012, presidential candidate Romney was forced to defend rather than bask in “Romneycare.” And even as the Supreme Court’s most recent decision makes headlines, Republicans running for the 2016 presidential nomination are pledging to continue their fight against the ACA. Jeb Bush said the country deserves leadership that can “actually fix our broken health care system.” Senator Marco Rubio said Obamacare is “still a bad law that is having a negative impact on our country.” Wisconsin Governor Scott Walker called on Republicans in Congress to “redouble their efforts to repeal and replace this destructive and costly law.” Senator Ted Cruz said repealing it is his “top priority.” Mike Huckabee called the Supreme Court ruling an “out-of-control act of judicial tyranny” and said Congress must repeal the “nightmare” of Obamacare.